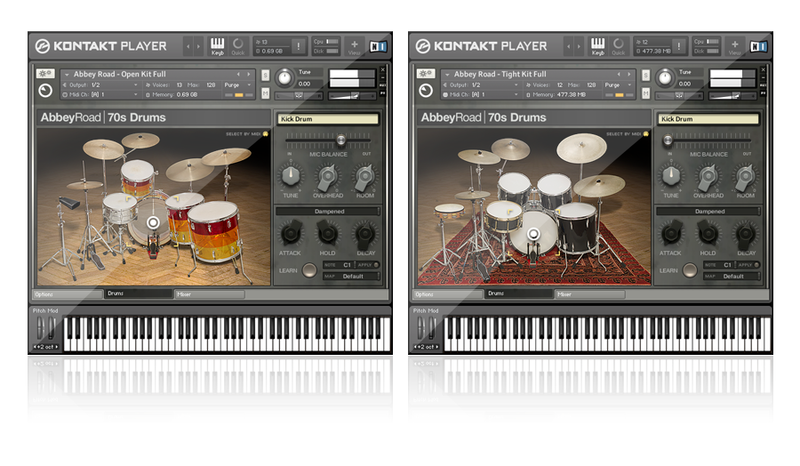 ABBEY ROAD | 70s DRUMS is the second of Native Instruments' collaborations with Abbey Road Studios London. This KONTAKT Instrument contains no emulations or modeling of any kind - ABBEY ROAD | 70s DRUMS is built entirely of high-quality samples of two distinctive vintage drum kits from the 1970s, made accessible via an easy-to-use interface newly created in conjunction with the Abbey Road experts. Made up of thousands of painstakingly sampled hits, every sound in this KONTAKT Instrument was recorded in Abbey Road's legendary Studio Two using classic vintage equipment from that period. 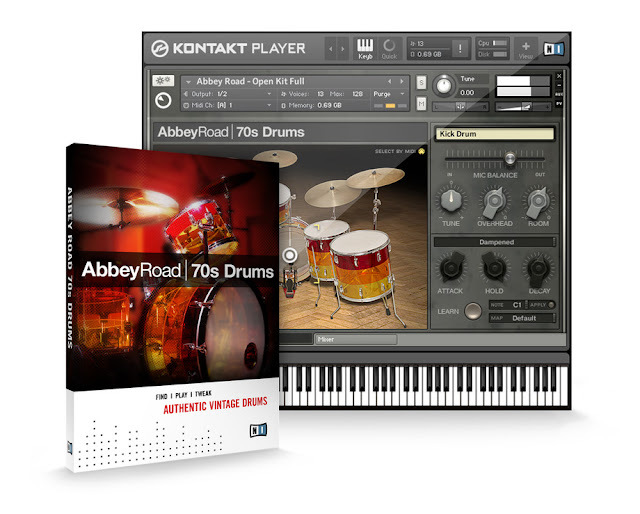 ABBEY ROAD 70s | DRUMS also includes mapping templates for instant play via E-Drums and drum software! Two highly-sought after vintage drum kits were chosen by Abbey Road and Native Instruments sound engineers to give two highly distinctive 70s drum sounds. The Open Kit is a Ludwig™ Vistalite Tequila Sunrise from 1972 with a 26" kick drum, 14" rack tom and 16" and 18" floor toms. Recorded in the legendary Studio Two of Abbey Road, this kit provides the big roomy sound immortalized on countless classic rock recordings. The Tight Kit is a vintage 1970s Premier model with 22" kick drum, 13" rack tom, 14" and 16" floor toms. The samples from this kit were also recorded in Studio Two of Abbey Road, but dedicated acoustic panels were put around the kit to achieve the tight, punchy and dry sound that was very popular throughout the 70s.